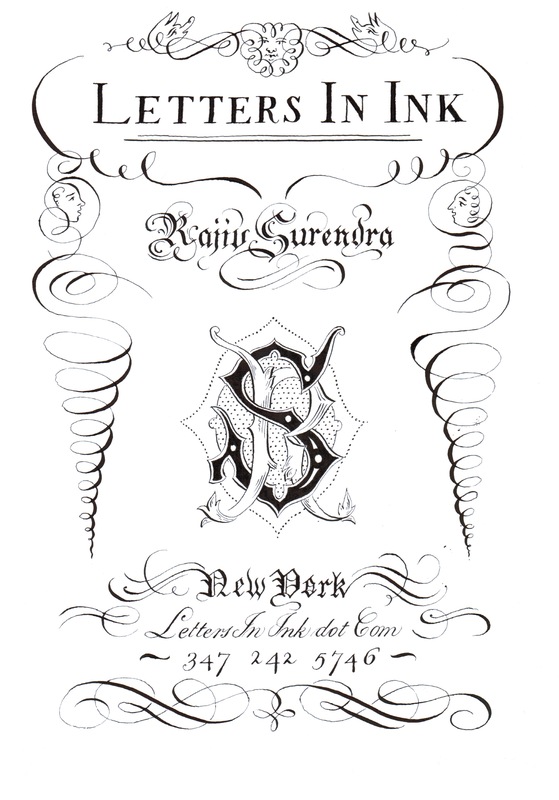 New business cards designed for relocating to New York. 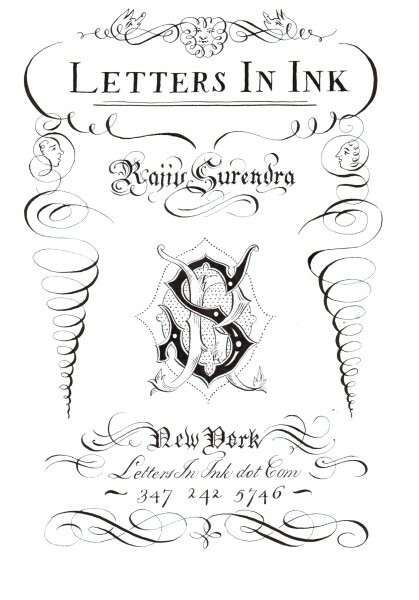 A layout was first created in black ink on cotton paper. The original was sent to the engraver in London, England – Smythson of Bond Street created a hand-engraved copper plate from the original draft. 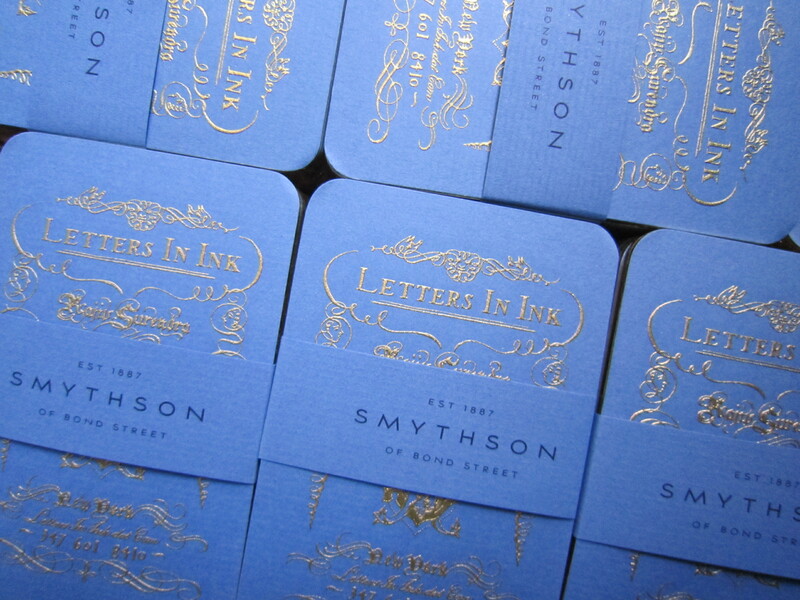 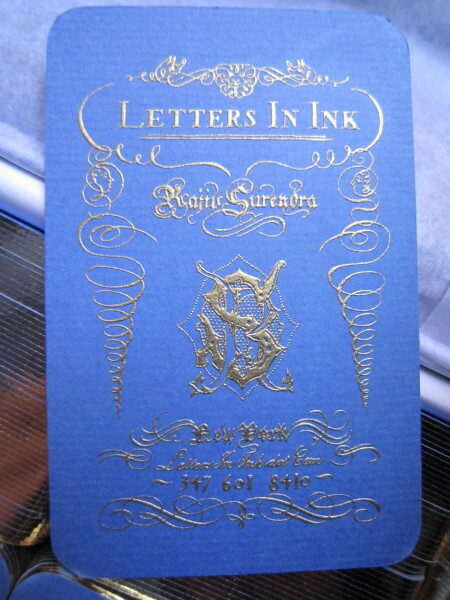 The finished product is stunning; an oversized card (10cm x 6.5cm) with gold ink on 700gsm Nile blue stock, with hand-rounded corners and 23kt gold hand-gilded edges.